"Visitors were particularly struck with the handsome design and loftiness of the hall, which led to the music of the orchestra and additional richness of melody. The comfort of the patrons of the Pavilion has been studied in every way, and no matter what position one occupies there is a clear view of the pictures without the least straining." 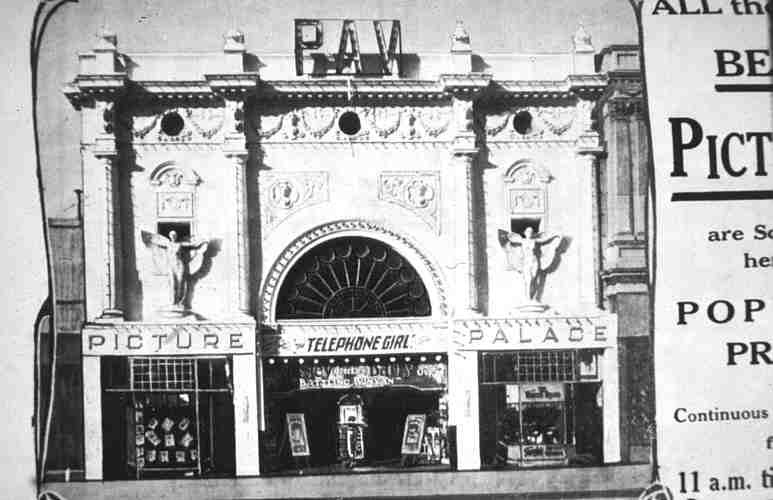 The "Pav" housed a Wurlitzer "Duplex Orchestra" photoplayer of five ranks of pipes [Bill Binding, conversation with author, August, 1975], one rank larger than the other Duplex Orchestras installed in the city's theatres. It is uncertain whether it was installed at the time the theatre was built; if that were the case, it would have been Adelaide's first theatre organ. As the theatre was a "continuous" house, there would have been a need to provide music during the orchestra's rest breaks. This need might have been covered initially by a piano, but it is likely that the photoplayer could have been there from an early date, when piano music would have proved inadequate for a prestigious city theatre. There is, however, no mention of any kind of organ or photoplayer in the extensive press descriptions of the theatre at the time of its opening. Dorothy Dempsey was organist at the Pavilion for many years [Bill Binding, conversation with author, August, 1975]. 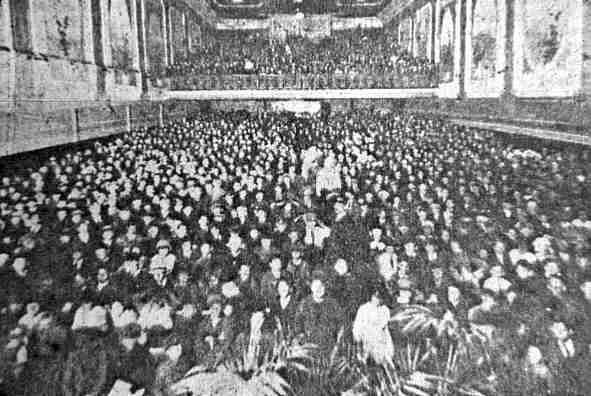 During 1925-26, Tom King, who later played at the Regent Theatre, Adelaide, was organist. [The Late Tom King (Obituary), "TOSA News", TOSA (SA), Adelaide, June, 1976, p. 1.] No names of other Pavilion organists have been recorded. In the 1940s, the exterior was remodelled in "depression moderne" style. It finally closed and was demolished in 1961 to make way for extensions to the Cox-Foys Building. The fate of the Pavilion's organ is unknown. Its most likely disposal was in the form of parts used in local church organs.